Not just for people with small, Dinklage-y hands who can't commit to a full burger, sliders are also for people with normal-sized hands who can't commit to a full burger. 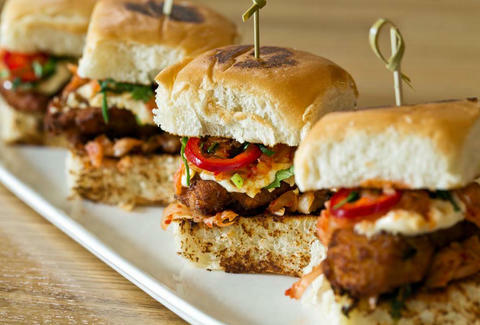 That in mind, here're the 10 sexiest slider options in Chicago. 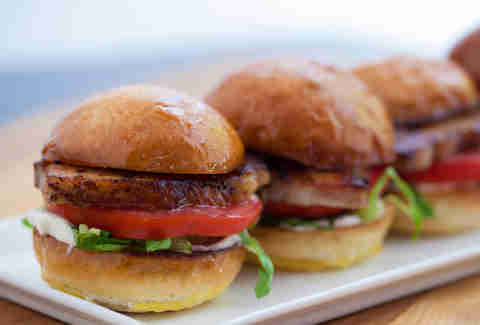 This Baconfest-highlighting slider puts crispy pork with LT & mayo on a brioche bun, for the tiniest slice of heaven (heaven's made of crispy pork, right?) you'll eat this month. 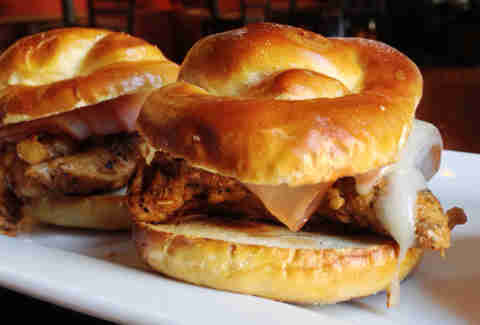 Culinary school, Arby's sandwich, and now a slider at The Beer Bistro -- is there anything the Chicken Cordon Bleu can't do? Maybe last more than a minute, but that's about it. If these came in a crave case, we'd buy it. There's no question as to why fried oysters with kimchi and peanuts are a favorite of James Beard editors. Two words: flavor explosion. 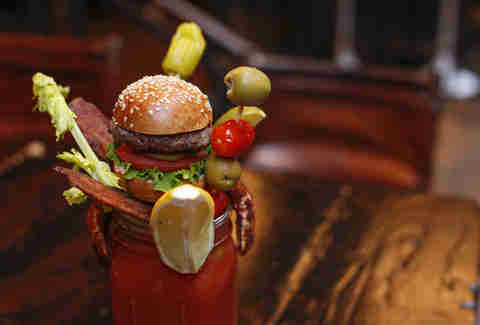 This is actually a $32 Bloody Mary, but it makes the list because of the amazing toppings (and bottomings?). If you're up on your Bloody Mary goings-on (exhibit A and exhibit B), you'll know that this 32oz Bloody is garnished with a slider (and also shrimp, bacon, peperoncini, grape tomatoes, blue cheese-stuffed olives, and a pickle spear). Think outside the bun? No thanks, we'll just change the shape. OTS is serving up classic Chicago dogs and Detroit coneys in tiny form (which we're gonna say still qualifies them as a slider). The no-ketchup rule still applies. These mushroom and brown rice mini-burgs are topped with spicy mayo and not what God gave the Israelites during their travels in the desert. Sliders are never a classy meal... unless, of course, you make them from filet mignon and top them with lobster and fancy butter. Hard to expect anything less from lunch in the Gold Coast, honestly. 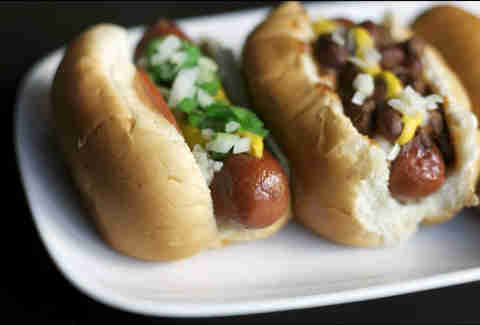 Buffalo-style: horrendous for a football team, great for a slider. 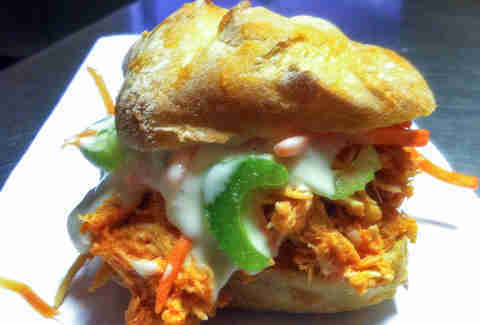 This pulled chicken in a Sriracha sauce with carrots, celery, and ranch could very well spell the end for Franks' Buffalo dominance. 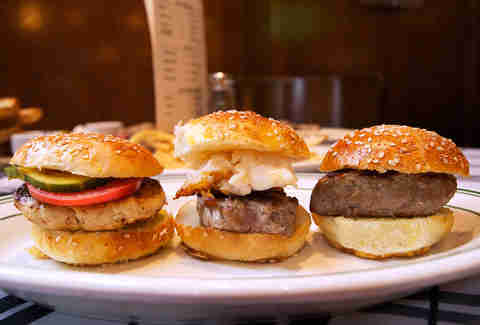 If sliders existed when we were kids, this is what everyone would've ordered. 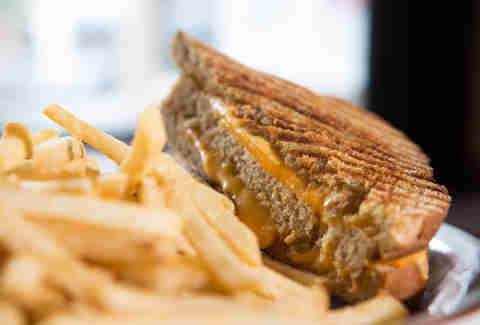 Fifty/50 has several great choices, but sometimes a simple, itty-bitty grilled cheese is the only way to go. 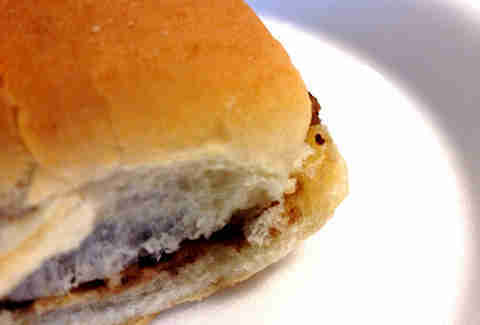 Okay, so maybe it's cheating, but a slider list without White Castle is like a slow jams mixtape without Boyz II Men. 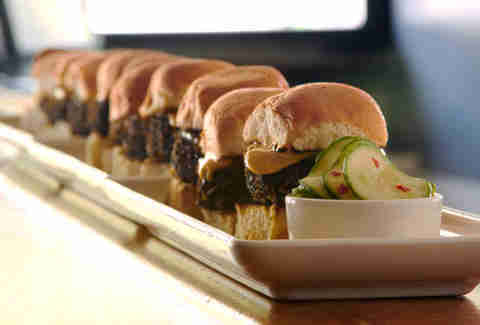 They're the world's best sliders for approximately 13 minutes. Colin Joliat is a freelance food and booze writer who loves sliders because they make him feel like a big, strong man. Follow him @FlintSkinny.